Yesterday I was reading through some great Thinking Out Loud blog posts. One of the posts I read was from Mary Beth at Tutus and Tennies. 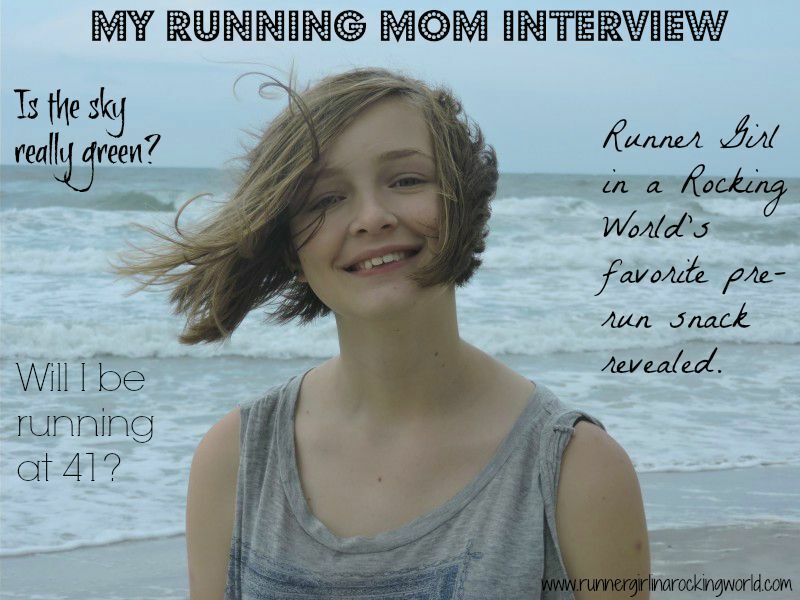 She referenced reading a cute interview another blogger did with her children in regards to running. I read her post and then followed along a link train, reading other interviews. Some of the answers made me laugh out loud!! After reading all of these fun interviews, I was intrigued about what Hayden’s answers might be. I was a little worried what her answers might be. She’s 12 and there is no idea what she might say. Wish me luck! She knows my post work weekday run snack. Smart girl! Yes, a Diet Coke/Pepsi. I need the mid day caffeine boost. 2. How far does mom run every day? Hayden: You have to run at least a mile every day, but sometimes you’ll run 3 or maybe 6. She’s on it! Go girl! 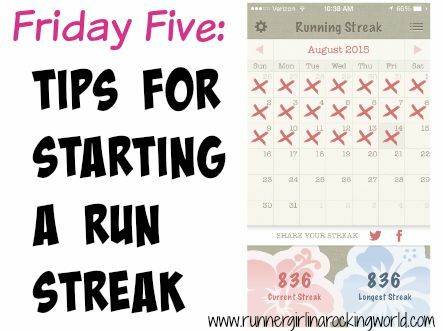 I run at least a mile to keep my streak going and my daily average is about 4 miles, longer on the weekends. 3. What was my favorite race? Hayden: I think it might be Flying Pirate. She’s guessed one of my favorites, for sure. We run Flying Pirate every year and it’s become as much of a family weekend as a running weekend. My absolute favorite race yet? Nike Women Half in DC. 4. Why do you think mom runs? Hayden: (singing) Because it’s a stress reliever. Yes, ma’am! It is one of the many reasons I run, but running does make me feel better. 5. 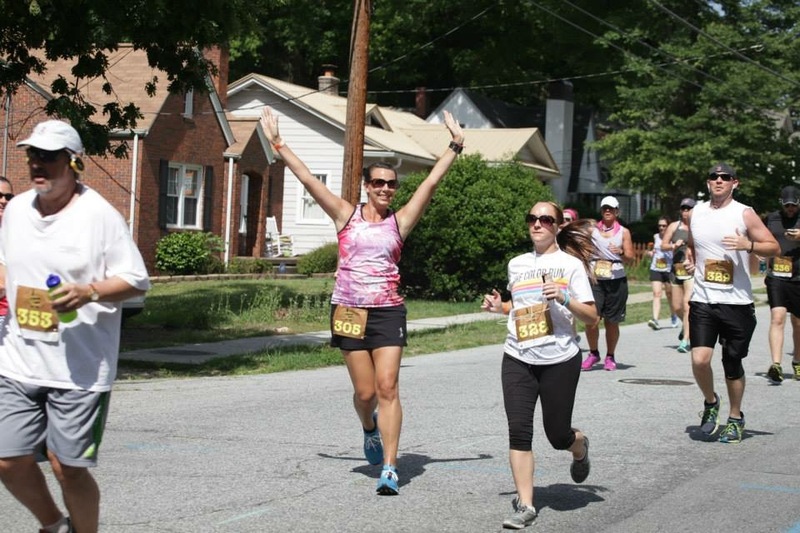 Does having a mom who runs make you want to run? Hayden: Is the sky green? Me: Would you say no? Hayden: Yeah, I’d say no. Hayden ran for a few years with the Go Far program and as a family, we’ve run a few 5K’s together. Even though she’s wicked fast when she runs, it’s not her thing. She went into retirement a few years ago. 6. 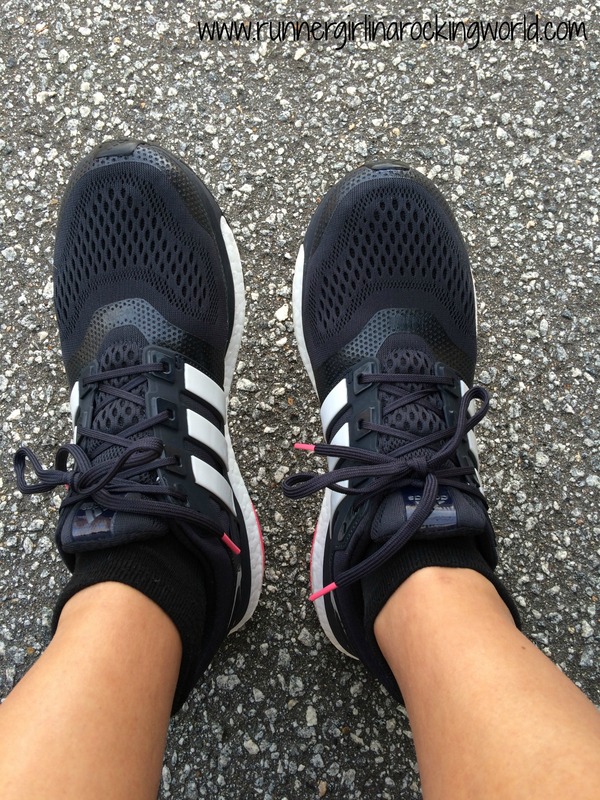 Have you learned anything from a mom who runs? Hayden: I’ve learned never to give up because not giving up shows you can do anything. 12 and so smart! You are so right, Hayden. I hope that you remember to keep at something if it is important to you. 7. What else does mom do? Hayden: You do Body Pump. Yes, I do. We also do at home workouts occasionally. 8. What is the least favorite thing about having a mom who runs? 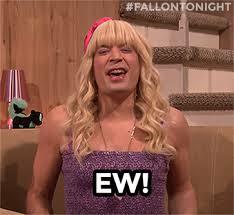 Hayden: You come home and smell bad. Awesome. Thanks, girl. And there is a typical 12 year old answer. 9. Do you think you will run at my age (41)? Hayden: Is the sky red? I’m taking that as a no, hell no. 10. What is mom’s favorite post race food and/or drink? Hayden: After a normal run, you’d have Diet Pepsi and Triscuits. If it was a big race, you’d go out with everyone and eat Mexican food. She’s pretty close on the post race meal. She’s right, we do all go out and celebrate! I do love some Mexican food before and after a race. I also like to have an ice cold brew too! Now it’s your turn! What do you think your kiddos would say to these questions? Quick! Think of a place you’d go for a health and fitness getaway! Is it a yoga retreat? Is it a running race-cation? Is it a girls’ trip? Somewhere for you and your special someone? Although, I’d love to say it’d be somewhere Nick and I could go away, I just don’t see us choosing a place that would be a health and fitness getaway. I see our dream trip more of an all inclusive tropical location vacation. I’d take the week away from exercising and running (less the daily mile) and just live in the moment, be lazy, eat and drink until we are merry and just be. It’d be a good for the soul kind of trip! Just him and me! I’m not sure I see myself taking a spa trip or a yoga retreat trip either. I’m probably one of the only people who dislikes massages and pedicures. I just don’t enjoy it and it frankly creeps me out. I’ve tried both, but I just can’t do it. 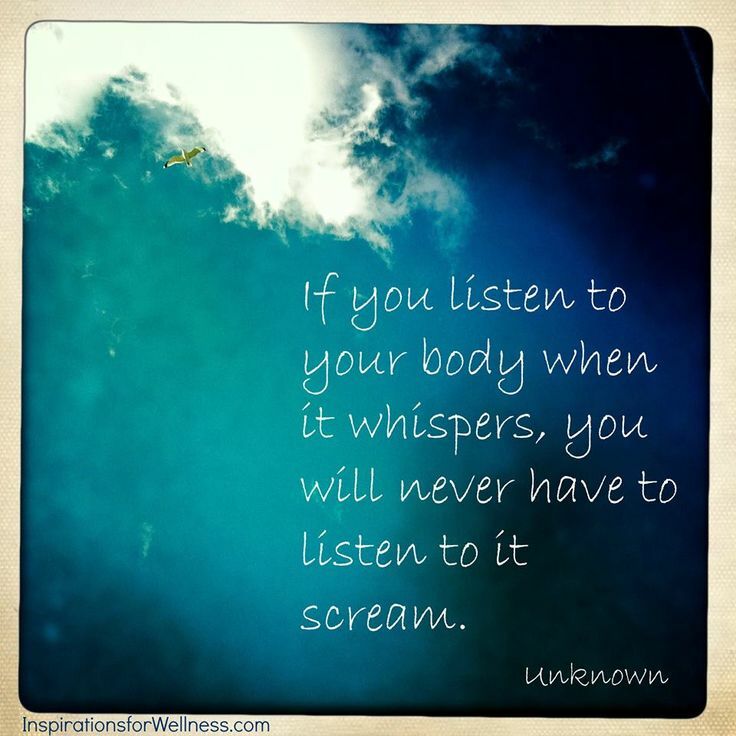 I’m fine going to get adjustments for my hip and back but that’s not touchy… Yoga really isn’t my “thing”. I enjoy it when I take classes but I’d need something a little bit more less introspective and calm. It could be part of a trip but not the main focus. So that leaves, running! I mean, you probably figured that’s where this was going. 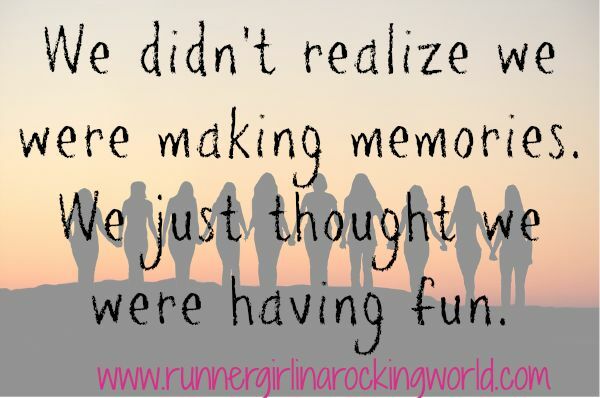 I’d choose a running focused trip and it would most likely be an all girls trip. After Gasparilla, I realized that a vacation (other than within a two-state radius day trip) and girls running getaway is the best of both worlds! Is it healthy and involve fitness?! Yes, if we pick one of those challenge races, then we’re spending a lot of the time running. We also through in some planks, easy running, walking, etc. It’s also full of laughing, talking, and learning more about each other. I learned so much about Christine and Cara in our 10+ hour car trip to Florida! We never turned on the radio. Not once. We talked, we answered questions from If…(Questions For The Game Of Life), we looked for state license plates, we drank Starbucks Iced Coffee drinks like it was our job, etc. All good, fun things! I feel like the car ride was just as much a part of the whole trip as was the actual vacation. I’d choose a Challenge type race somewhere, maybe Disney or Runner’s World Half Marathon and Festival or Flying Pig 3-way Challenge. Enlist a few friends to come along for the adventure and plan an awesome trip! Choose a place to stay, restaurants to try, and places to visit! It would be an awesome trip! What would you choose? What’s your ultimate health and fitness getaway? Share it with me! 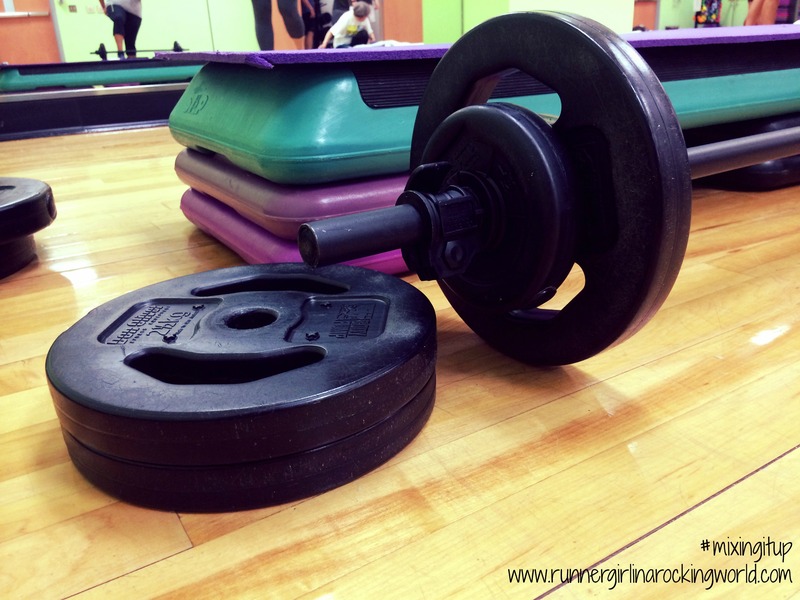 Check other posts at the Fit Dish Linkup and become part of the #fitfam by heading over to Jill Conyers at JillConyers.com, & Jessica Joy at TheFitSwitch.org. The first race in my new age group was the Hamilton Lakes 10K last April. I ended having a super race and ended up with a 2nd place AG and a shiny new PR! I’m running this one again this weekend, but I’m still working on recovering from my full, so no racing just yet! I added 9 more half marathons to my growing list! Of those 9 races, I paced 4 of them! I am so happy to have found the love of pacing. It has really added something special to my running! I surprised myself with a PR at the Salem Lake 30K last September. We signed up to use this race as a training run and I was thrilled when I saw that I had finished almost 23 minutes faster than the last time I ran it. I ran 2 marathons (City of Oaks and Tobacco Road) and another ultra distance (43 miles) at Crooked Road. I finally learned not to be afraid of the marathon distance and how to run and train for them that fits me. 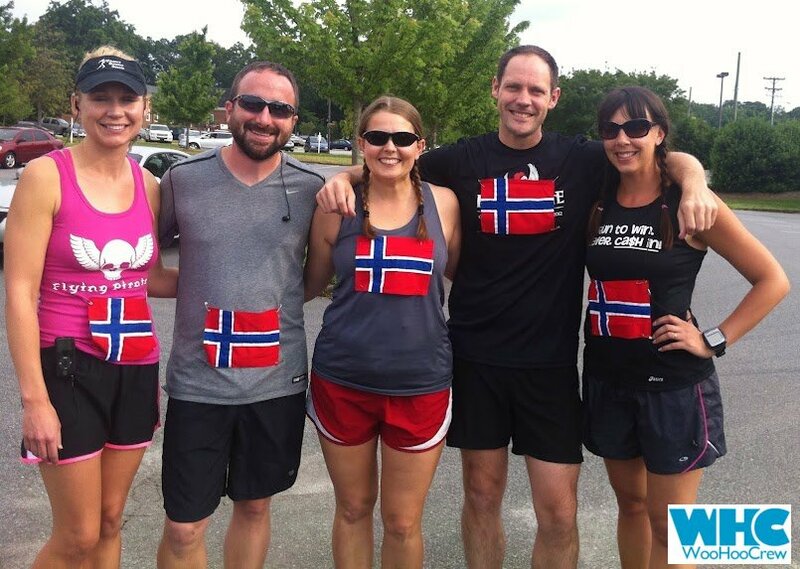 We ran a new race to us in December, the Reindeer Fun Run. I hope to go back and run that one again this year! It was so much fun, even if the course was crazy hilly! Gasparilla!! 4 races over 2 days for 30.4 miles! It was an amazing trip! So much fun! 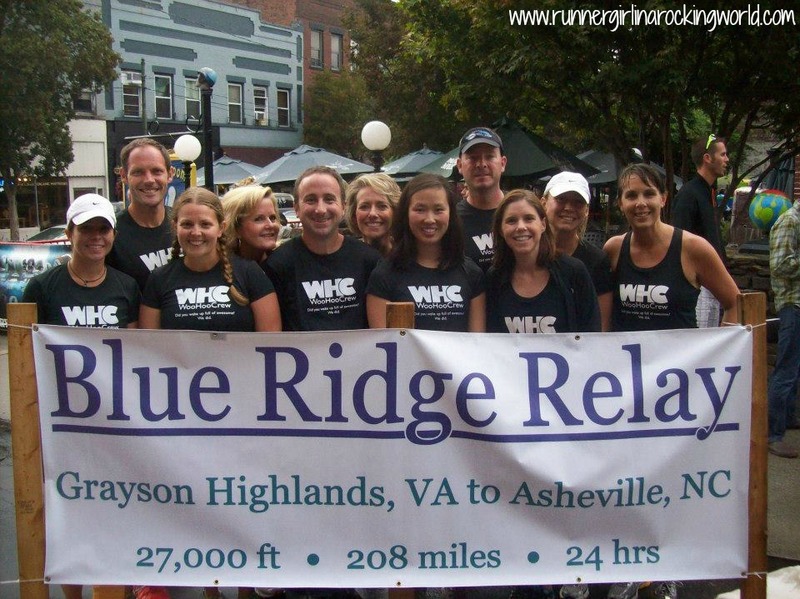 Pick a fall marathon or maybe a challenge? Cheers to another year! Cheers to 41! It’s going to be a great year! This week’s optional topic is healthy recipes. Check them out at the Fit Dish Linkup and become part of the #fitfam by heading over to Jill Conyers at JillConyers.com, & Jessica Joy at TheFitSwitch.org. Happy Spring!! We have had three…yes, three whole days of Spring like temperatures here in NC. Tomorrow, it returns to a being a bit colder and rainy, but it’s been so great to get out the last few days and actually run not all bundled up. Speaking of the weather, so far, so good on the weather for Saturday’s marathon. It looks like 50 for the low and the high near 70. I love when the weather is cut and dry as far what to wear. I’ll be taking a skirt and tank. I need to remember to bring trash bags to stay warm until it’s race time. The overall temp is a bit warmer than I’d like but hopefully it won’t be humid too. What’s my plan for this marathon? What’s my time goal? Um…I don’t necessarily have one. Since we didn’t follow a “true” marathon plan, I’m sticking to my heart rate for this one. I would like to see how much more improvement I’ve had since my last marathon following the same race day plan. I’ve run using MAF for another 3 months and will continue it until late June. So Cara’s Timehop the other day was about our marathon last year in Wrightsville. It was actually the same weekend as this weekend…kind of funny. Apparently I like running a marathon on the same weekend. Then it got me thinking and this will be my 3rd marathon in a year (March to March), my 6th marathon. That’s kind of crazy! Every runner has thoughts of what it would be like to train with an all star list of athletes. You can’t help but become nostalgic when you watch the New York Marathon on TV and see World Class runners running the same roads as every day runners. It gives me chills just thinking about that. I got super excited to see who was running in the Gasparilla Half: Dathan Ritzenheim, Abdi Abdirrahman, and Jen Rhines, a three time Olympian. This is the first race I’ve run in where there were some big time runners. So if given the opportunity to train with or be trained by anyone, who would I pick? I can’t help but first decide where I’d want to train. After a visit a few years ago to Boulder, CO, I instantly fell in love. 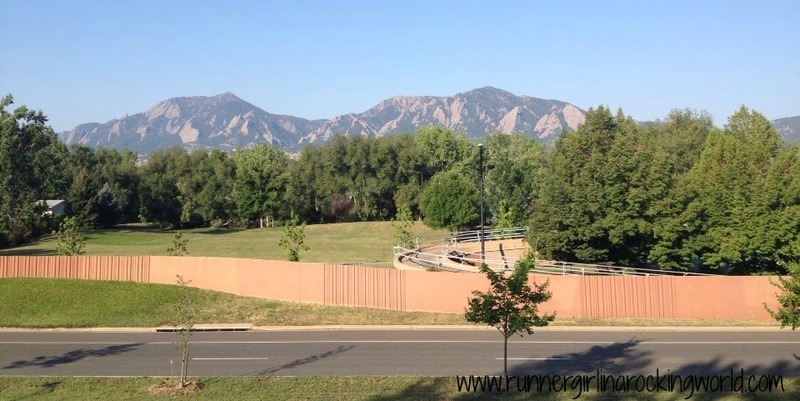 I had a few runs there on the Boulder Creek Greenway and appreciated not only the beauty of the route, but I was jealous that this was the route that runners could run all the time. Now that I’ve picked the location for my training, who would I want to train with? 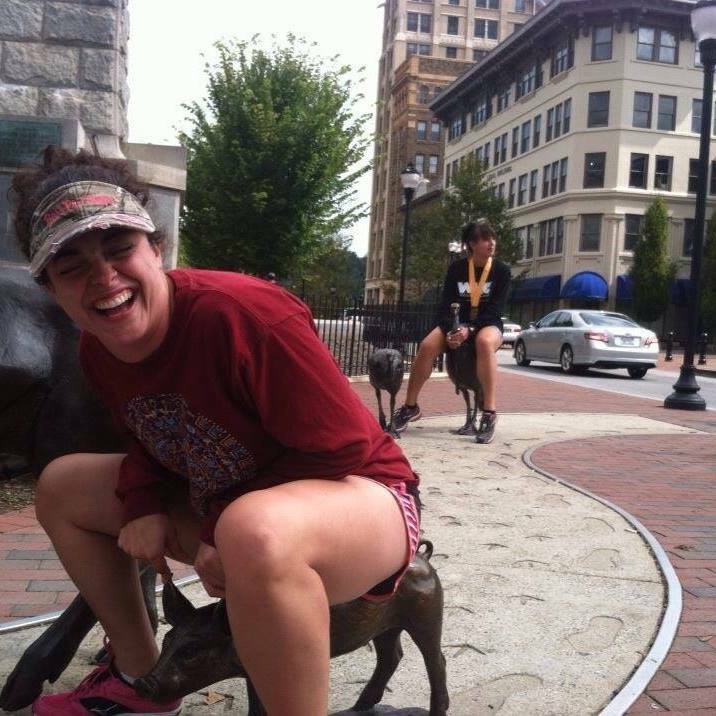 I have a special place in my heart for Kara Goucher. She’s a runner momma! She trains hard, has true dedication to a sport that she loves, has known and overcome bad races, but there’s also some very “real” about her. She doesn’t make excuses. She understands that we’re all human and sometimes what we ask and expect from our bodies, just doesn’t happen all the time. But more importantly, she is a perfect example for what it looks like not to give up and to chase dreams even if they are scary. She’s just amazing! To train with her would be a dream! I’m a little naive in all of this. I honestly don’t know much about professional/elite coaches and their different approaches. So I can’t necessarily choose someone. 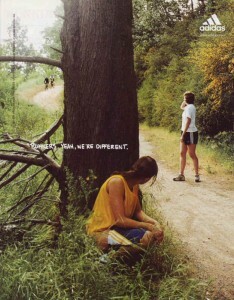 What I can say is I’d like someone who would understand me as a runner. 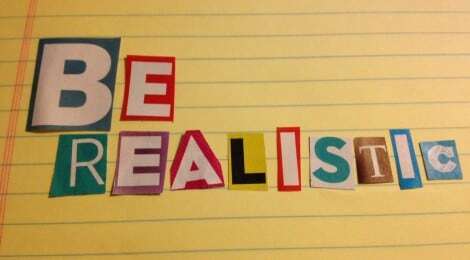 The person would have to create a plan tailored just for me and my abilities and then have it match the goals I have. I don’t mind being pushed to achieve great things, but I also want to do it safely and within reason. I’d like a plan that focuses on certain pace ranges and incorporates cross training, easy days, and speed work (but a good mix of different speed workouts). Also, I’m not sure that I’d be going so much for a fast time vs a more endurance ultra event. Find out other bloggers’ dream team at the Fit Dish Linkup and become part of the #fitfam by heading over to Jill Conyers at JillConyers.com, & Jessica Joy at TheFitSwitch.org.